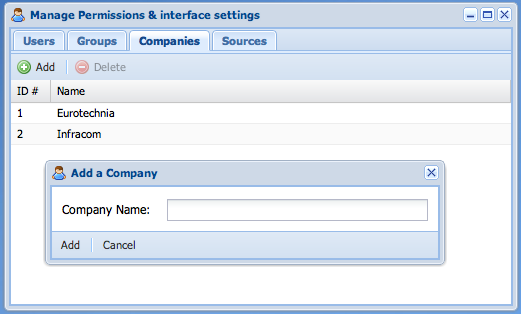 First start by adding a company, this is a good way to get used to Webcampak permission module, as mentioned previous this section is only for administrative purposes and does not impact the system. Then to edit a company name, simply double click on it. Finally, to delete a company, click on its name and then press "Delete".